In its most basic form, Penny Stocks follow the same principle as traditional stocks that you will find on major stock markets such as the NYSE or LSE, insofar that investors hope to profit on the growth of the underlying company. However, there are also some clear differences. As we will discuss further in our ‘What are Penny Stocks’ guide, this particular investment space is highly speculative, volatile and at times, significantly short of liquidity. As a result, whilst gains can be of substantial size, as can your losses. 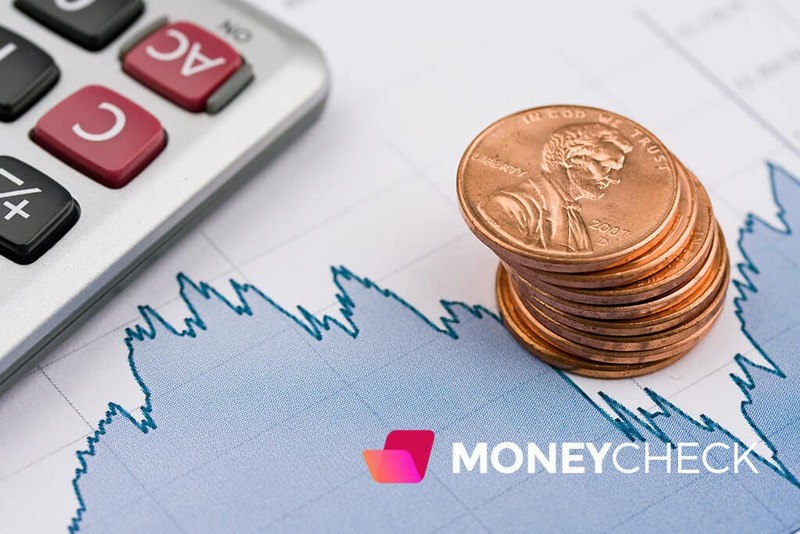 If you’re wondering what Penny Stocks actually are, how they work and what you need to do to make an investment, we’ll explain everything in a clear and concise manner. We’ll also discuss some of the most notable Penny Stock picks that we think you should keep an eye out for in 2019. Before you begin your Penny Stocks investment journey, it is crucial that you have a good understanding of what they actually are. Essentially, for a company stock to fall under the Penny Stocks umbrella, the Securities and Exchange Commission (SEC) state that the market value of the stock must be $5 or less. The SEC also make it clear that the underlying definition of a Penny Stock is somewhat broad. One of the key reasons for this is that whilst in the vast majority of cases Penny Stocks will trade on Over-the-Counter (OTC) markets, in some cases, they might not trade on any marketplace at all. In terms of the underlying companies themselves, Penny Stocks are most commonly represented by small organizations with ultra-low market capitalizations. Much like in the case of conventional stock markets, when you invest in Penny Stocks you essentially take part-ownership of the company. This equity gives you the option of making profit in the form of dividends, or capital gains in the open marketplace. The fundamental characteristic of a Penny Stocks investment is that they operate in the one of the most speculative marketplaces in the investment arena. Much like in the case of other high-risk markets such as cryptocurrencies, it is not unusual for a Penny Stocks investment to rise or fall by double-digit, or even triple-digit amounts in a very short period of time. As such, whilst high-risk marketplaces are worthy of a small percentage of your portfolio allocation, ultimately it is wise to keep this to an absolute minimum. 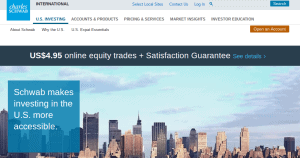 What Makes Penny Stock Trading Different to Traditional Stock Trading? If you are thinking about taking the Penny Stocks plunge, then we should start by explaining that making an investment is not as straightforward in comparison to other markets. As noted above, the vast majority of Penny Stocks are traded on the OTC markets. 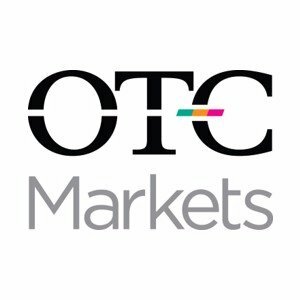 This is usually in the form of the OTC Markets Group, who now provide a platform for thousands of individual Penny Stock securities. However, this OTC marketplace is dominated by brokers and dealers, meaning that casual or inexperienced investors will have little chance of trading independently. As such, you will most likely need to go through a third party broker who will act on your behalf. Furthermore, and as we will explain further down, liquidity is a major issue in the Penny Stocks space. In layman terms, this means that whilst making an initial purchase in to a Penny Stocks company should not present any hindrances, when it comes to selling them at a later date you might struggle to find a buyer. This is every trader’s worse nightmare, not least because you could be left with stocks that you are unable to offload. If this is the case, then traders are often forced to sell the Penny Stocks at a significantly lower price than the marketplace dictates, which is something that can ultimately wipe out any gains you had previously made. As a final note, we should also mention that due to the classification issued by the SEC, some Penny Stock investments actually trade on more robust exchanges. For example, the UK-based Alternative Investment Market (AIM) is home to a full range of Penny Stocks. Whilst the AIM is far less stringent as its FTSE 100 counterpart, regulation and ease-of-access is significantly more conductive than the likes of the OTC Markets Group or Pink Streets. So now that we’ve covered the complexities of penny stock trading, in the next section we’ll point you to some of the best brokers that can assist you in your quest to buy or sell Penny Stocks as well as provide quick step by step tutorials to help you invest in Penny Stocks seamlessly. 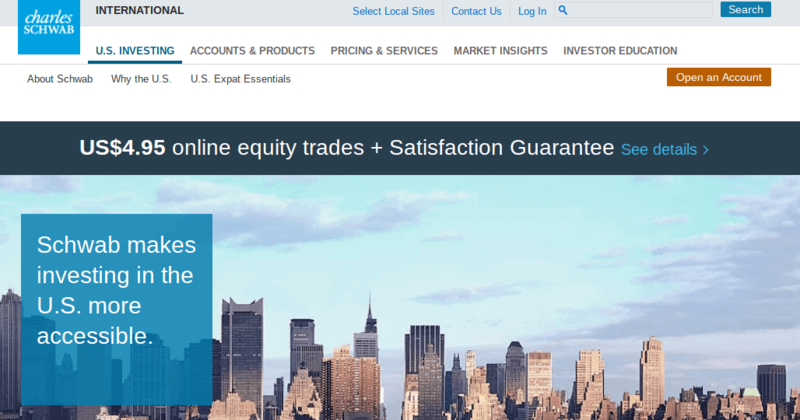 If you are still at the very start of your Penny Stocks journey, then it might be worth considering a CFD (Contract-for-Difference) broker such as eToro. The organization have a strong presence in the online investment space, with markets covering everything from stocks and shares, currencies and commodities. Whilst the platform does not exclusively focus on Penny Stocks per-say, there are still a full range of companies listed that fall under the SEC’s definition of sub-$5 per share. If you are unaware as to what a CFD actually is, in its most basic form it is a financial instrument that allows you to speculate on an asset without actually owning it. Instead, you invest in the asset indirectly, insofar that you will make gains or losses depending on how the asset performs in the real-world markets. 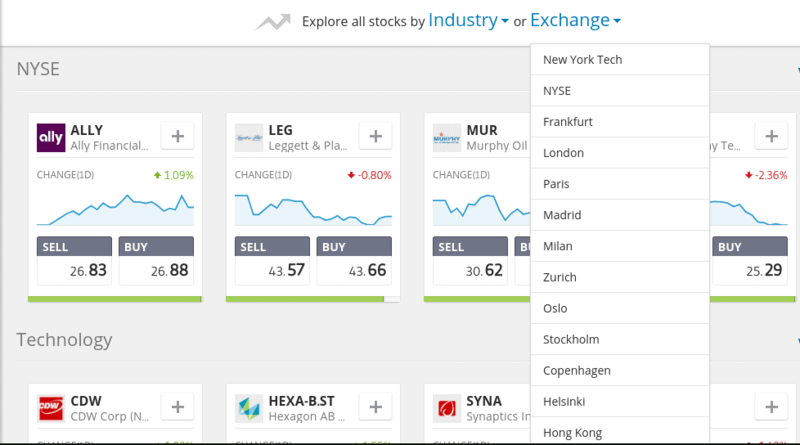 Furthermore, by investing in a CFD via eToro, you also have the chance of going short. In other words, you can speculate that the price of the asset will go down in value, rather than up. Simply click here to open your account, fill in the registration form and follow the account opening process. 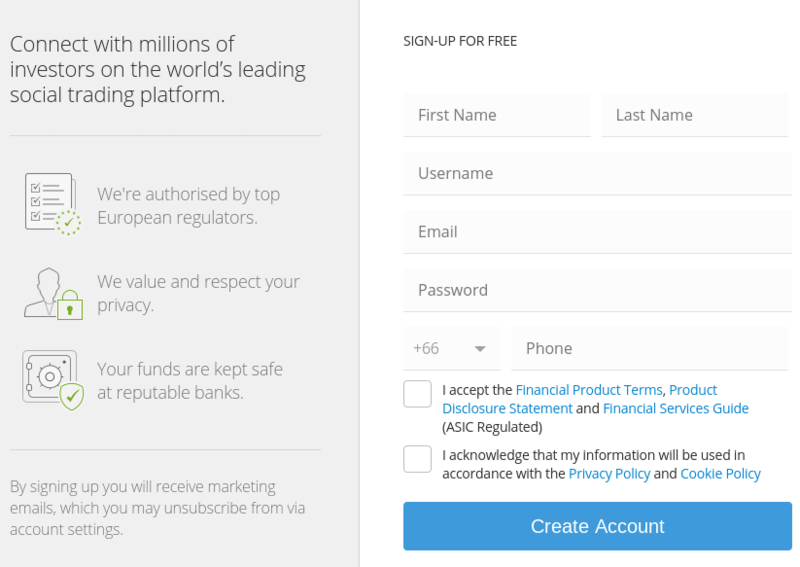 Before you start trading Penny Stocks on eToro, you’ll first need to go through a basic KYC (Know-Your-Customer) process. In the vast majority of cases this will require you to upload a government issued ID (such as a passport or driving license) and a utility bill (such as a credit card or bank statement). Once you’re verified, you’ll have your deposit limitations removed. Just remember, as eToro do not specifically market Penny Stocks per-say, you’ll first need to do some digging to find your chosen pick. The best way to do this is head straight over to the Stocks section of the platform. Once there, it might be worth browsing through smaller stock markets such as Stockholm, Madrid or Oslo, or these exchanges generally host companies with small-valued share prices. Once you have found the Penny Stocks company that you want to invest in, click on the Trade button, and then determine whether you want to buy (long) or sell (short) the Penny Stock. You’ll also need to enter the amount you want to invest, and whether or not you want to utilize leverage. You can also set a stop loss order, which in markets such as this, is probably a good idea. If you’re looking to purchase Penny Stocks outside of the CFD space, then it might be worth considering the likes of Charles Schwab. One of the biggest benefits to using a highly established broker such as Charles Schwab is that they have direct access to both the Pink Sheets and OTC Bulletin Board, which are two of the leading marketplaces for Penny Stocks. On top of this, you’ll also be accustomed to trades from as low as $4.95 per trade, which is highly competitive. Take note, the minimum amount of funds that you can deposit with this particular broker is $25,000, so if you’re only looking to invest really small amounts, then it might be worth considering a different platform. Firstly, head over to the Charles Schwab homepage and click on Open an Account. 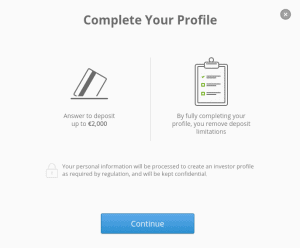 You’ll need to fill in a range of personal information, such as your residence and investor status. Once you have entered your personal information, you must then go through a customer due diligence process. This will require you to upload a digital copy of a government issued ID and utility bill, as well as your tax identification number. Not only this, but you’ll also need to print some documents, sign them, and upload them in to your account portal. 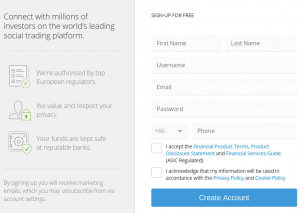 This process is a lot more stringent than eToro, however due to the nature of the underlying securities available at Charles Schwab, this is a legal requirement. As is virtually the case with all OTC trading platforms, you will actually need to call your broker to enter or exit the market. One of the key reasons for this is that OTC trading is usually performed in a decentralized nature. In other words, the broker will find a buyer or seller for you, on a case-by-case basis. Charles Schwab are highly experienced in this field, and thus, they’ll be able to give you pertinent information on the Penny Stocks you are looking to buy or sell. Whilst this might seem like more hassle, it is a wise move to use a broker in this sense, as it will ensure that you do not attempt to enter a market that you don’t understand. Cumbersome account opening and verification process. Tradestation is a multi-purpose platform that allows you to trade financial instruments online, or via their mobile application. On top of hosting a full suite of Penny Stocks, Tradestation also gives you access to major stocks and shares, commodities, futures, options and ETFs. Moreover, trading fees start from just $5. Once you access the main Tradestation platform, click on the Open an Account button. You’ll need to enter a range of basic information, such as your name, country of legal residence, full address and telephone number. You’ll also need to let them know what type of investor you are. 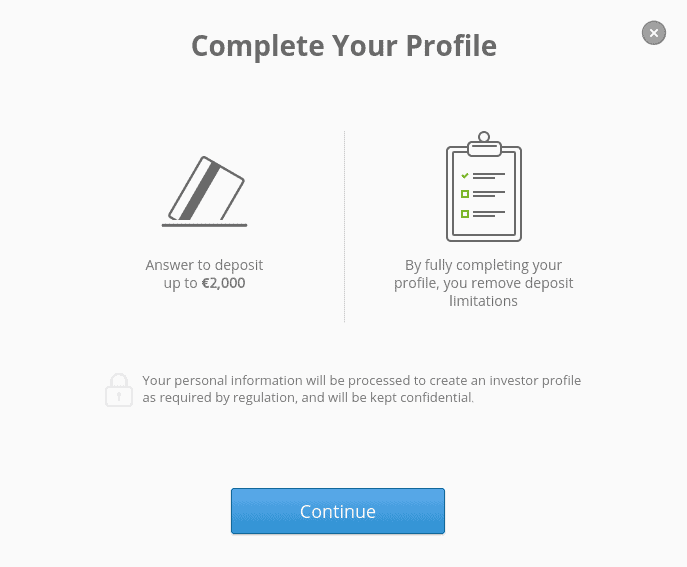 As is now standard practice in the online brokerage space, you’ll need to verify your identity. Simply choose your preferred government-issued ID and enter the details. In order to verify this information, you’ll then need to confirm them by uploading a copy of both your government-issued ID and proof of address. As soon as you have gone through the account opening process, head over to the client trading centre and find your desired Penny Stocks trade. Once again, as you’ll likely be looking to purchase Penny Stocks in the OTC marketplace, you’ll need to contact the broker by phone, so that they can place your required trade. Alternatively, if you find a suitable Penny Stock in more robust markets such as the AIM, then you can invest directly from the online portal without needing to make a telephone call. So now that you have a good understanding as to how you can invest in Penny stocks, we are now going to discuss some of the pros and cons of entering the marketplace. The above mentioned platforms are some of the best penny stock brokers in the market and trading on them is definitely recommended. In general, a good way to find reliable brokers to invest on is researching about the fees, commissions and the number of assets available to trade with whenever you find a platform you are interested in. To arm you with the right tools in your Penny Stocks trading journey, we have listed 10 tips for you consider. Perhaps the most important tip that we can give you is to perform significant amounts of research prior to parting with your money. While arguably there will not be as much information in the public domain in comparison to established blue-chip stocks, you should still attempt to find out as much as you can about the company you are interested in backing. On top of doing your own research, you should also ensure that you do not get influenced by so-called ‘expert tipsters’. If you do come across a potential recommendation, such as the tips we have listed within this guide, you should still perform your own independent research. Ultimately, the Penny Stocks market is not only highly speculative, but also ultra-unpredictable. Due to the speculative and high-risk risk nature of Penny Stocks, it is absolutely fundamental that you keep your stakes to a minimum. This will still allow you to experience considerable gains should your stock perform well on the open marketplace. However, it will also ensure that you do not suffer significant losses. A hugely important strategy when investing in Penny Stocks is to ensure that you diversify. If you put all of your eggs into one basket and the subsequent stock plummets, then you could lose a substantial amount of money. On the other hand, if you spread your picks across multiple companies, you’ll be able to mitigate your overall exposure. One of the biggest concerns when investing in the Penny Stocks space is a sheer lack of liquidity. As such, if you invest in a stock that has low levels of liquidity, you could struggle to offload them at a later date. Therefore you should spend some time analysing recent trading volumes, to ensure that the stock attracts enough liquidity. Although the vast majority of Penny Stocks trade on OTC markets, it is still possible to find companies on more robust platforms such as the AIM. This will provide you with substantially more liquidity, meaning that you should have no issues selling your shares at a later date. Many traders that engage with the Penny Stocks space often overlook the importance of earnings growth. Essentially, many commentators would argue that a consistent growth of earnings is significantly more important than other factors surrounding the business. If possible, you should also attempt to find out what the company have forecasted for future earnings, and whether previous forecasts have come to fruition. As you will need to use a broker to access the Penny Stocks OTC markets, it is crucial that you do some research on who they are, how long they have been trading for and most importantly, that they hold the required regulatory status to provide the services they are offering. Continuing on from the above, you should also make sure that you understand what fees your broker is going to charge to buy and sell Penny Stocks on your behalf. Don’t forgot, it is almost certain that you will need a stock broker that has direct access to markets such as the Pink Sheets, meaning that this is likely to cost more than a conventional online trading platform. Last but not least, if you do decide to take the Penny Stocks plunge, you should ensure that you have a comprehensive exit plan. Moreover, your exit plan should cover both sides of the equation. Ascertain how much you want to make if the markets go in your favour, and of course, how much you are prepared to lose should they go in the opposite direction. Due to the sheer unpredictability of the Penny Stocks space, alongside an overall marketplace that is home to thousands of individual companies, finding the right investment for you can be a daunting task. Here’s 10 Penny Stocks that we think might be worth exploring further, in no particular order. Arc Document Solutions, Inc. (ARC): Involved in the print technology services arena, Arc Document Solutions, Inc. have made net earnings in the previous three financial quarters. If they’re able to follow suit in quarter four, they could be worth a closer look. 2. Arcimoto, Inc. (FUV): The electric vehicle manufacturer is currently experiencing ongoing growth in its underlying order book. With just 1,824 and 2,800 orders in September 2017 and June 2018 respectively, its most recent pre-order allotment stood at more than 3,000. 3. TP Group (TPG): Providing technology services to the engineering, defence and aerospace, TG Group raised £20.8 million in their 2017 IPO. Much of this was with the view of engaging in a round of acquisitions, although this has been a steady process thus far. Currently, shares are just below the initial IPO price point. 4. Begbies Traynor (BEG) Although Begbies Traynor recently announced that they were expecting a 40% drop in pre-tax profits, revenues were still up by 8% in the same period. If revenue momentum continues over the next couple of quarters, it might be pertinent to put the profit drop down to previously unsuccessful acquisitions. 5. Enservco Corporation (ENSV): This high-risk Penny Stock is involved in the U.S. oil and gas sector. The reason Enservco Corporation might be worth a closer look is that they are on track to become profitable again.Due to the adverse external factors experienced by the wider industry, the firm lost $11 million and $5 million in 2016 and 2017 respectively. However, in 2018 these losses were reduced to just $2 million, illustrating that a full recovery could be imminent. 6. Dolphin Entertainment (DLPN) Looking to target the ever-growing online content space, Dolphin Entertainment had a disastrous 2018. However, 2019 has already seen gains of 82%, and alongside its recent acquisition of 42West, it will be interesting to see how long the up-surge lasts for. 7. Smart Sand (SND): This particular Penny Stock is involved in the U.S. hydrocarbon arena. Profits have grown remarkably since the firm reported a 2014 net income of $8 million, with 2018 figures coming out at $29 million. 8. AK Steel Holding Corporation (AKS): Although the steel industry is a highly volatile arena, those operating in the U.S. have recently been accustomed to a Trump-regime that is keen to make American firms more competitive. Whilst there is no guarantee that this protectionist strategy will work, the likes of AK Steel Holding Corporation can still be bought on the cheap. 9. PDL BioPharma Inc. (PDLI): This particular company are involved in acquiring patents on pharmaceutical products. Although PDL BioPharma Inc. has recently seen its share price fall from $30 down to an uninspiring $3, the company still has more than $532 million in the bank. This will further facilitate their goal of acquiring a higher number of patents in the coming years. 10. mCig (MCIG): Las Vegas based mCig are involved in two industries in particular that could experience highly significant growth in the short-to-medium term. Notably, the firm are not only targeting the vape space, but also the ever-growing marijuana cultivation arena. If global governments continue to relax of marijuana-based policy, then mCig could be one to watch. It is important for us to stress the fact that one of the risks associated with penny stock trading is their lack of liquidity, meaning that it is not always easy to re-sell the stock they buy. In conclusion, it is highly fundamental that you have a full understanding of just how volatile the Penny Stocks marketplace is. Whils on the one hand there is always the potential that you pick the next big thing, equally, you could lose a significant proportion of the funds you invest. If you do plan to allocate funds over to the Penny Stocks space, then you should ensure that you keep this to an absolute minimum, at least with respect to your overall portfolio. Moreover, it is also wise to avoid putting all of your eggs in to one basket. Essentially, it would best to diversify your risk levels by backing multiple companies. In doing so, you stand a better chance of avoiding an all-in wipe out, especially if other companies within your Penny Stocks portfolio are performing more favourably. What is the easiest way to invest in Penny Stocks? The easiest way to invest in Penny Stocks is to used a reputable broker. 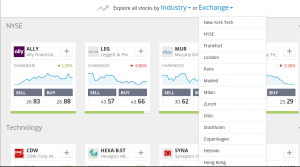 You also have the option of replicating the movement of some penny stocks via a CFD platform like eToro. How is a Penny Stock defined? 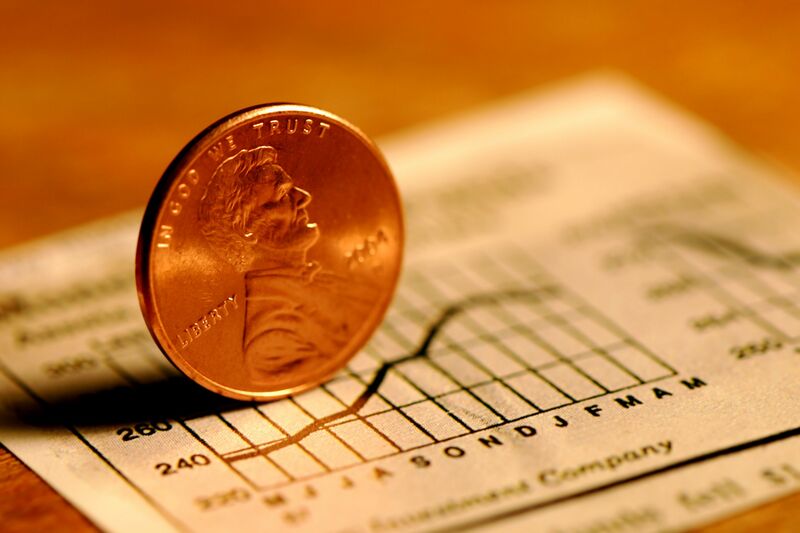 According the SEC, if the share price of a company is less than $5, it is classed as a Penny Stock. Other jurisdictions such as the UK have different guidelines, with Penny Stocks constituting anything less than £1 per share. What happens if I can’t find a buyer for my Penny Stocks? This is one of the biggest risks in the Penny Stocks space, not least because liquidity levels are often ultra-small. If you are having issues finding a buyer, you might be forced to sell at a much lower price than the stocks are worth. If I do buy Penny Stocks, should I diversify? Absolutely. This is one of the most effective strategies to ensure that you do not lose a significant proportion of your portfolio value. If one Penny Stock in particular experiences major losses, it is hoped that the remained of your portfolio counters its adverse performance. 1 What are Penny Stocks? 2 What Makes Penny Stock Trading Different to Traditional Stock Trading? 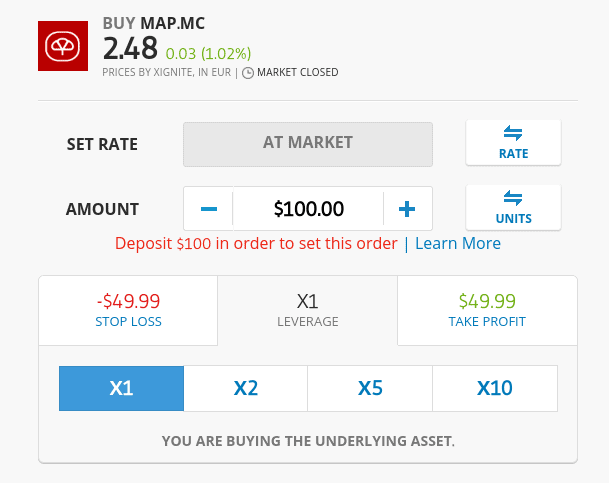 Is there any way I can improve my chances of making money by trading penny stocks? Yes, the best way you can improve your chances of profiting with penny stocks is to keep your stakes low considering that penny stocks are speculative and trading with them is a risky activity. I also suggest to diversify as much as possible. If you invest everything you have in one stock, and that stock drops in value, you might register significant losses. If instead you invest in several stocks, you will be able to limit your exposure to fund losses. 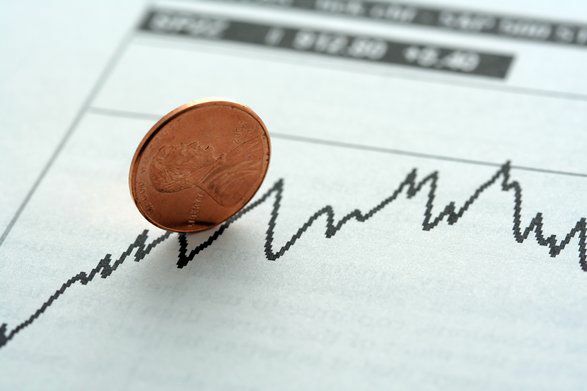 How long should you hold onto penny stocks ? What are the best ways to trade these stocks?